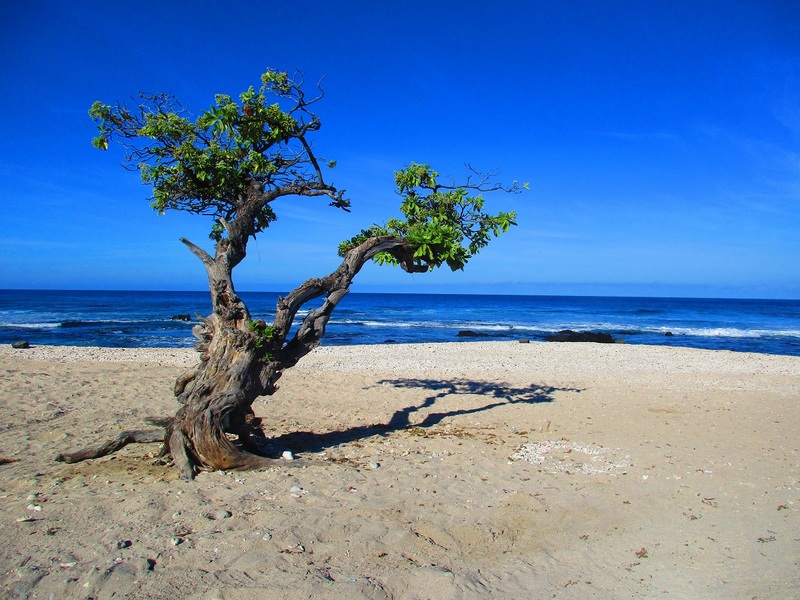 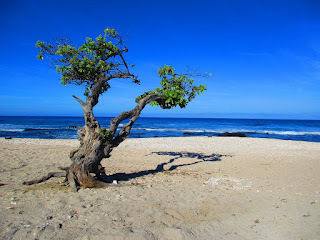 This is the last report on the longest continuously hike-able section of Hawaii's Ala Kahakai National Historic Trail, and the section I recommend as Hawaii's contribution to the nationwide Fifty Trail. The entire segment is 41.2 miles in length. 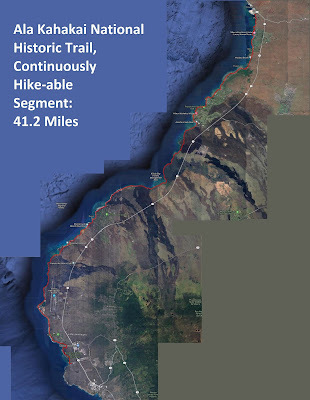 Here's an overview map. 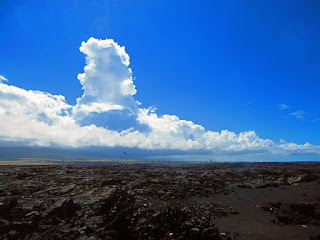 This post only covers the southern 7 or 8 miles of that. 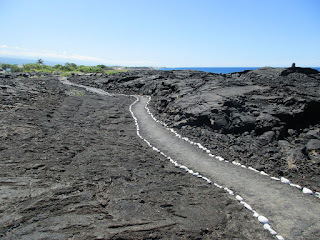 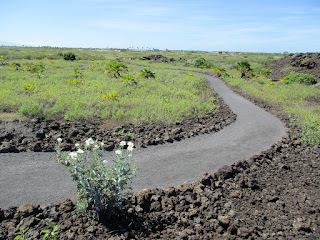 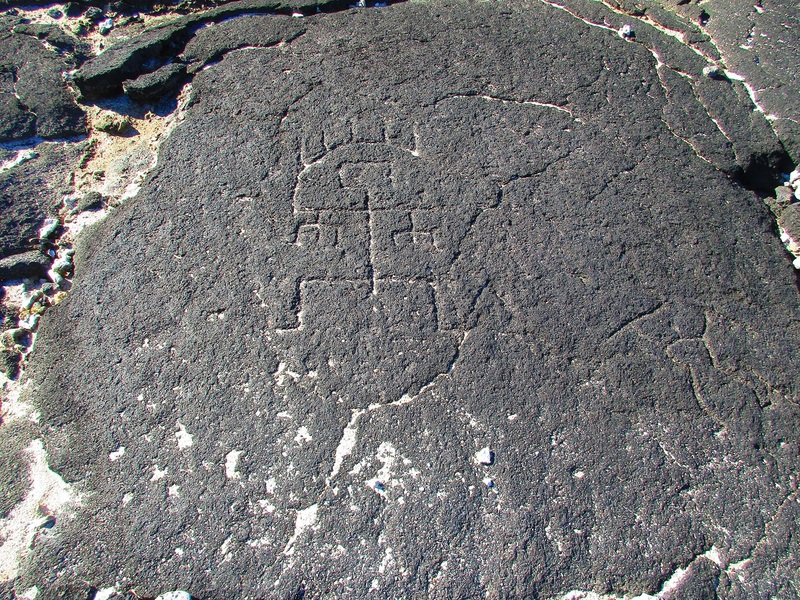 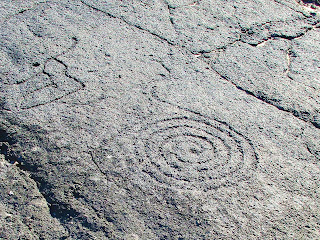 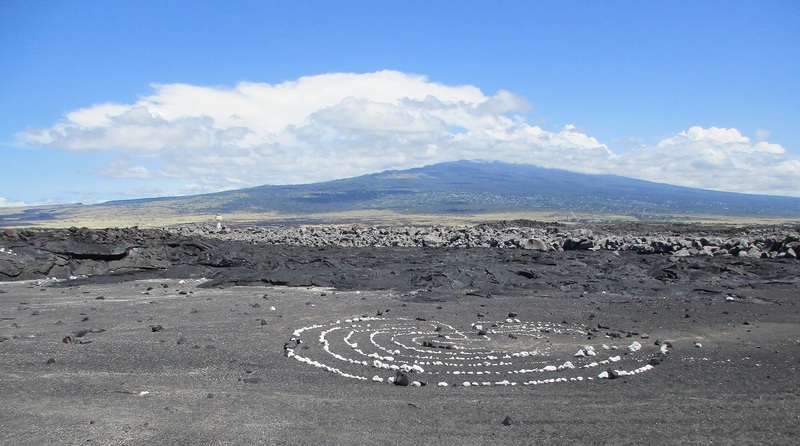 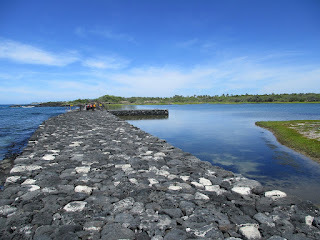 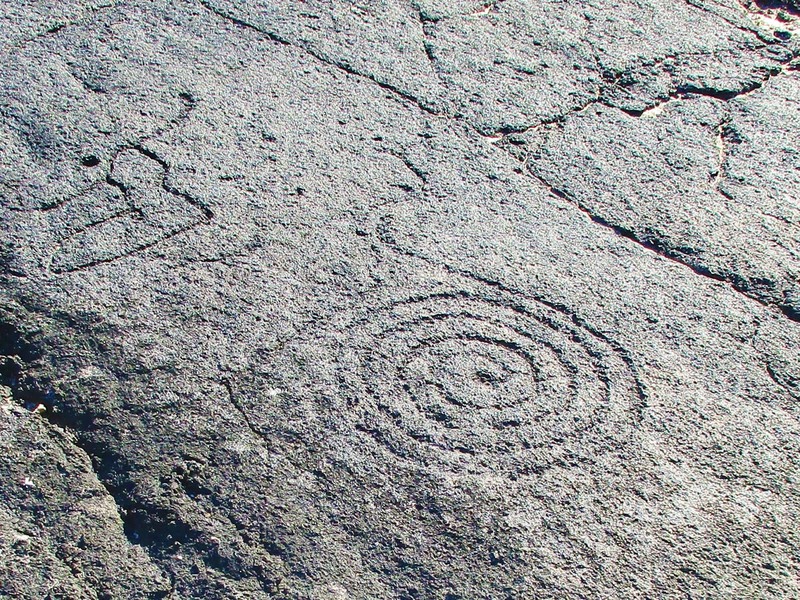 Parts of it pass through an 1801 lava flow, so the historic old Polynesian-built footpath is lost here, but what is there is some well-marked modern trail. 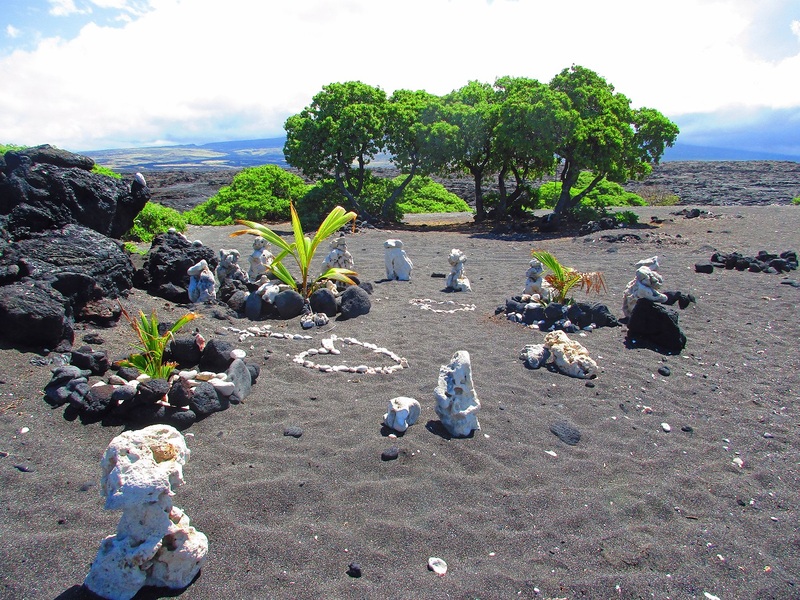 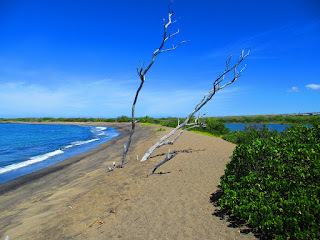 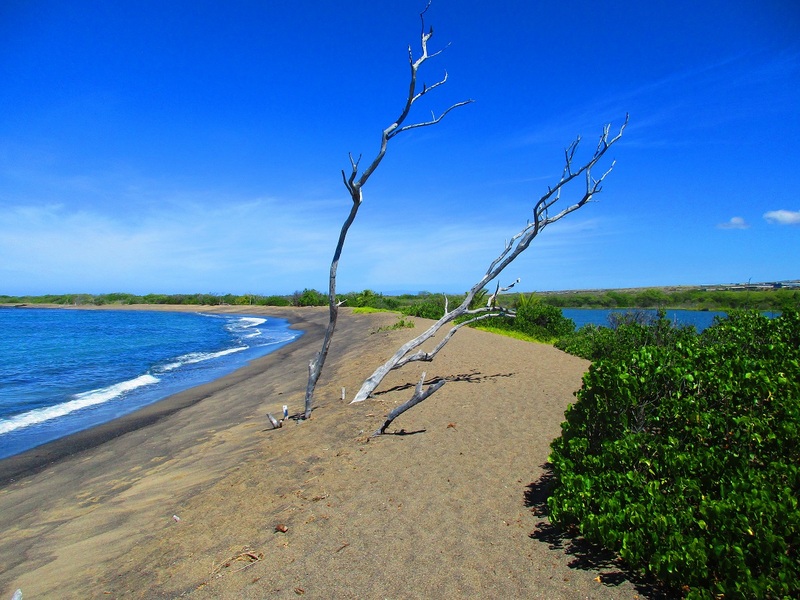 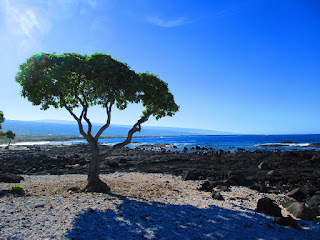 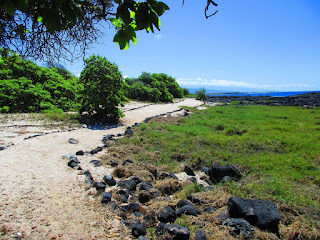 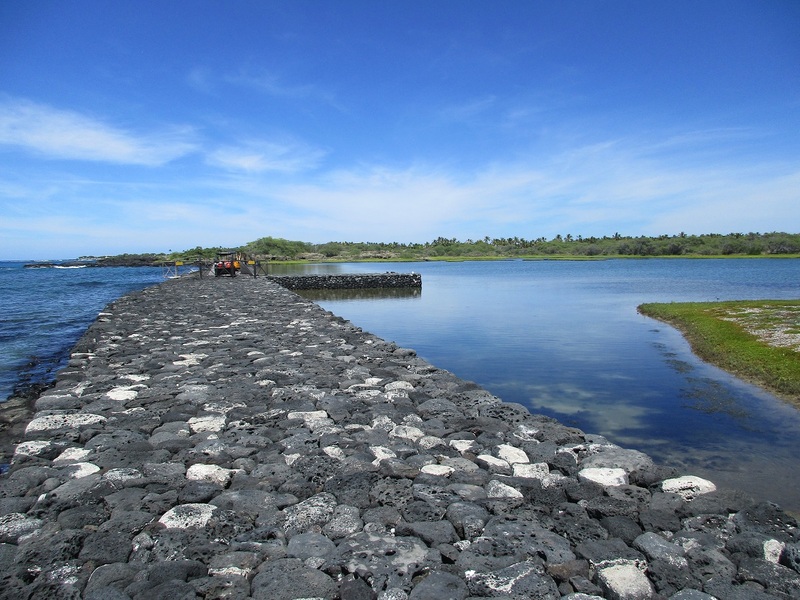 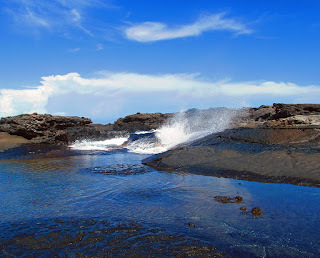 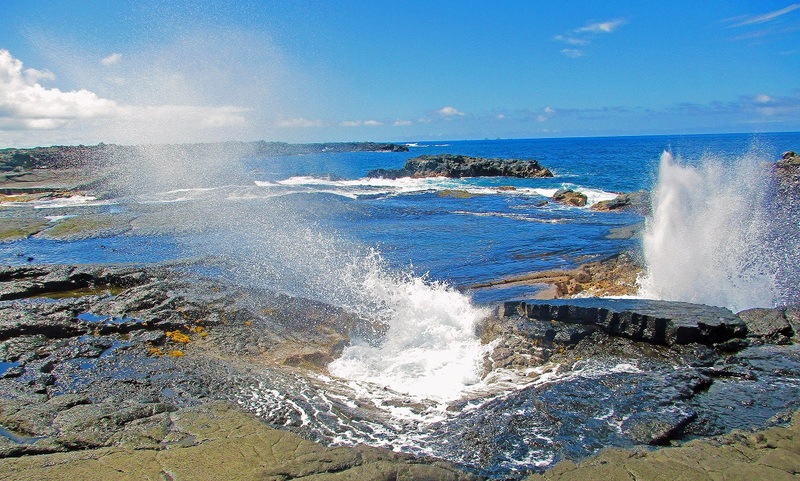 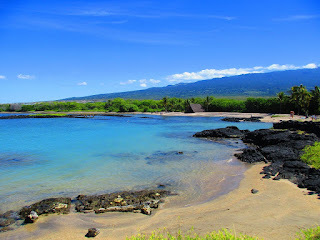 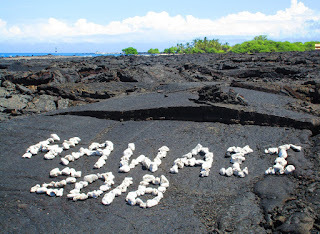 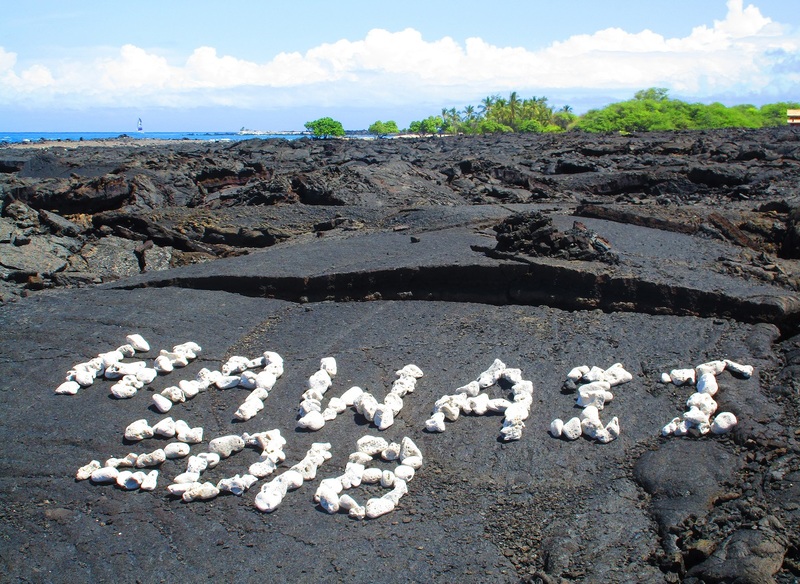 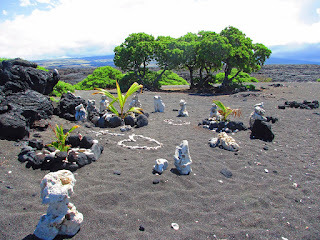 The southern end of the long hike is at Honokohau Harbor, and on the way north through Kaloko-Honokau National Historic Park (before you reach the 1801 lava field) there are some nice beaches with ancient fish traps, restored dwellings, fish ponds, and interesting petroglyphs. 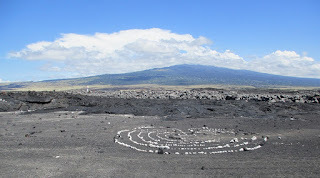 But then you strike out into the lava. 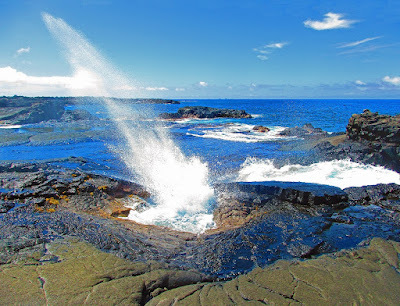 The world-class blowhole shown in the headline is in the middle of this stretch, a mile and a quarter from the nearest public access point, and not often visited. 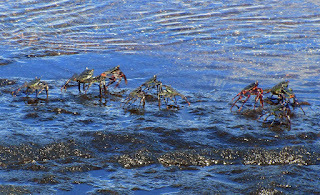 I could find no photos or information about it, yet when I was there a whole line of spectators were lined up watching it. 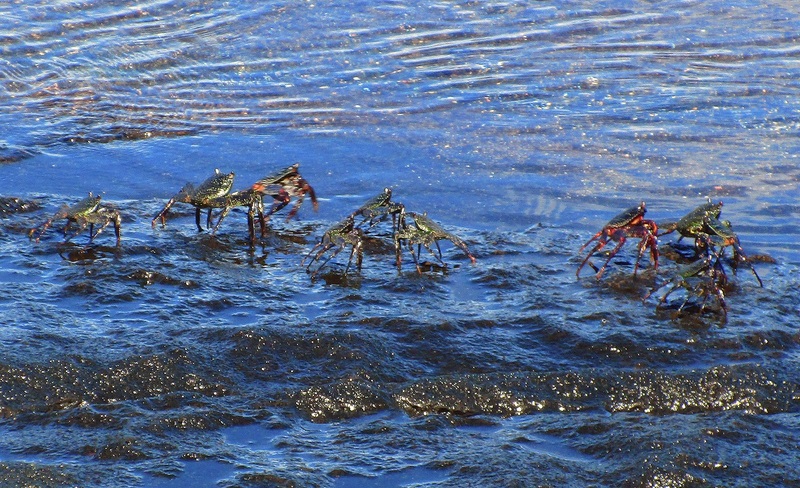 These little 'a'ama crabs (Grapsus tenuicrustatus, also known as the thin-shelled black crab, rock crab, or natal lightfoot crab) are so wary and so lightning-quick and nimble that I've been unable to get close enough to get a good photo of them until now. Here their attention was on the surging surf in the blowhole and not on me. 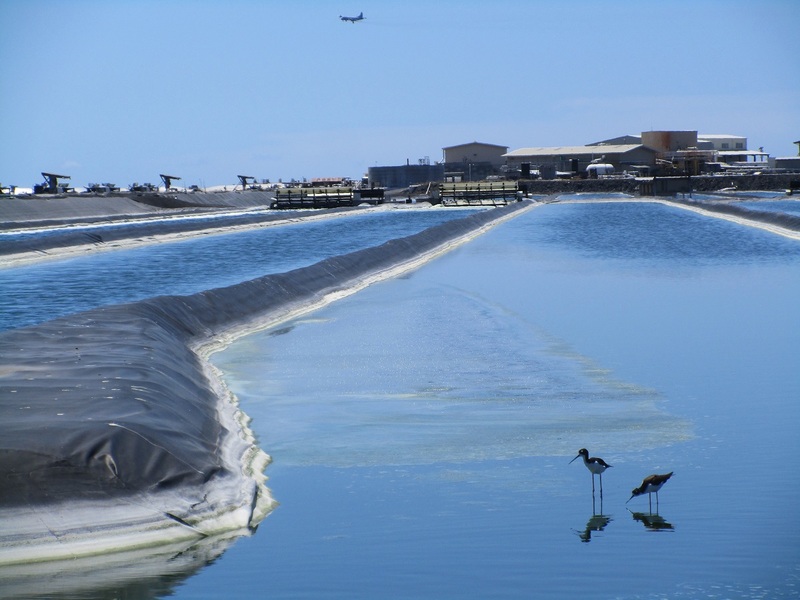 They're on the flat in the foreground in this shot, which came a second too late for full gush of pressurized water. And at the north end is some more modern coral art. 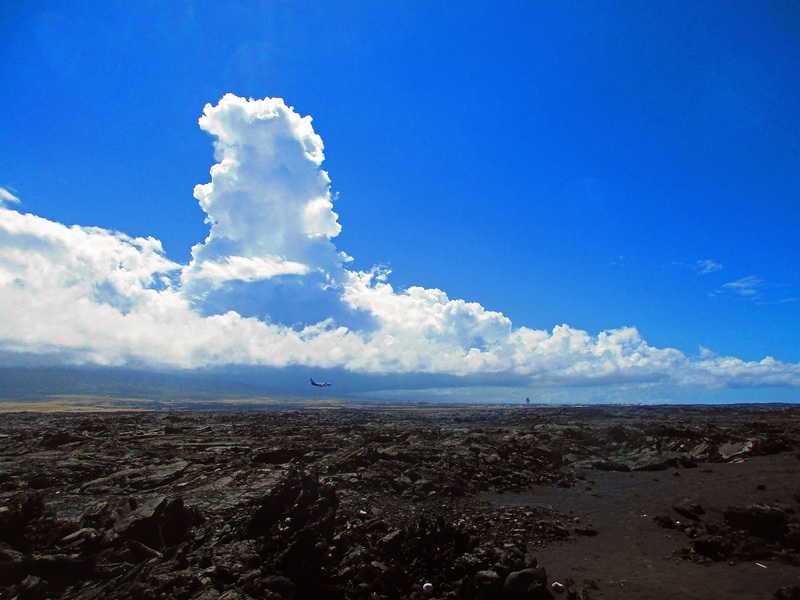 Behind the art below is the airport control tower and Hualalai Volcano.